Love this hat! Super warm and stretches enough for my boyfriend to wear it as well. Would buy one in every color 10 times over! Love love love Carheartt acrylic hats! Thank you for your review. We have shared your comments with our product design team. Please contact us at 1-800-833-3118 with any questions or concerns. Can i customize stitched on lettering? 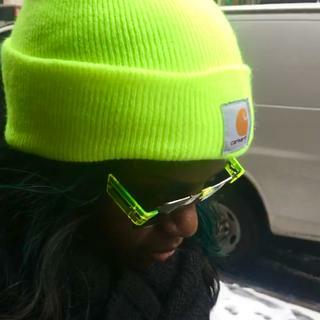 Can I get the actual dimensions of this beanie? BEST ANSWER: The crown measurement flat at lower edge - unfolded will be 8.5" and the crown length - unfolded will be 13 1/4". The dark green color looks exactly like the dark brown.... has anyone ordered it? I have visibly seen people wearing dark green beanies such as the color in the box and I would like one myself. I have the dark brown/sandstone and it’s definitely true to its color, nowhere near green color. Hope this helps. Will you be restocking the heather grey beanie? BEST ANSWER: We have stock available in Heather Gray. 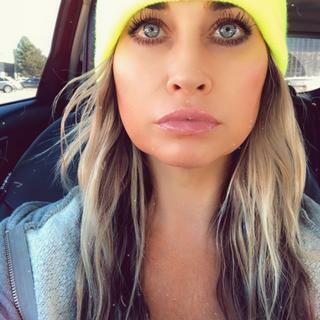 how much does this beanie weigh? BEST ANSWER: This weighs .188 lb. Is the dark green a hunter green or military green? BEST ANSWER: the one i got in was essentially Brown. Maybe you could call it military green? If you want a hunter green go with the 2-tone hunter green/black. Hunter Green. I wear mine everyday in the woods! When will the white acrylic hat be back in stock? BEST ANSWER: We do not plan to restock this style in white, unfortunately this color has been discontinued. You are currently out of the dark green color in this hat, will that be back in stock? BEST ANSWER: We expect more stock within the next couple of weeks. Are these hats the same as the carthartt wip one?? BEST ANSWER: Unfortunately, we cannot provide details on WIP items. do you have the a18 style cap but one that is not as tall? i have a carhartt cap that is over ten years old, and its not as tall, it sort of hugs the skull but is not a beanie. it is exactly like the a18 but shorter in height. i cant find it anywhere on your site. do you still make that version of a black knit cap? BEST ANSWER: Unfortunately, we do not. However, if you would like to contact Customer Service with the style # found on the inner tag of your older hat, we'd be glad to see if we can make any other suggestions. Is this hat Frc? Flame retardant? BEST ANSWER: No, this is not an FR garment. What's the difference between the Men's and Women's Watch Hats? I have a few of these hats and some stay more rigid (which I like) after washing, while others don't hold their shape. Is there a difference in material or thickness between men's and women's? BEST ANSWER: They are actually the same size and specifications. Some fabric blends might be slightly different to create different color effects. How many CM is the Acrylic Watch Hat? BEST ANSWER: The crown length is 13 1/4 inches, which is about 33.7 cm. What does OFA stand for? BEST ANSWER: It stands for One Size Fits All technically, although we cannot promise it will fit every individual. Is this machine washable? If not, then how do I clean it? Do male/unisex purple beanies still exist? BEST ANSWER: Our color offerings are updated most seasons. We do not have any men's A18 hats in purple. We did have the women's WA018 in a couple of purple tones, but it is sold out. However, we do have some left in a color called Deep Wine which you may like. When will the acrylic watch hat be restocked in black/white? BEST ANSWER: We expect more at the end of January. when will the black/white one be back in stock? hello fello american will thus hatt kep my ears warn in the cold of the winter? BEST ANSWER: Yes. This is a great hat! BEST ANSWER: Unfortunately, we only ship within the US and Canada. are you shipping to Turkey? BEST ANSWER: No, we only ship within the US and Canada at this time. i am looking to order 48 of the A18 can i get an estimate in shipping to carrollton texas 75007 ? BEST ANSWER: Please contact us for further assistance. You can reach us by phone at 800-833-3118 Monday-Friday from 8am-9pm EST and Saturdays 9am-5pm EST. Are the beanies one size fits all?! BEST ANSWER: Our beanies are One Size Fits All. No. They are humongous. Yeah they might "fit" but it leaves you with a ton of fabric flapping around at top, enough to fit a cantaloupe into. One size. I found they are plenty long, compared to all other stocking caps I have ever had. Covers my ears well and is a tight warm knit. Affirmative. These are much more substantial than the fleece watch cap that is commonly available.Plus they come in a multitude of colors. Yes, they stretch quite a bit so anyone should be able to wear them. I've gifted them to toddlers and my dad. Yes they are one size fits all. yes they are one size fits all! How many sizes are there with the Beanies are they one size fits all?!!! I've had many of these over the years. They are One Size Fits All and it's true! My three year old son has worn one of mine in a pinch and been just fine (although the kids size would be better). My hat size is 7-5/8" and they fit just fine without being too tight. They are big enough for a grown man's head. But my 9 year old sister also wears one and it fits her fine. You just have to pull the flap up a little bit. They're one size fits all. They are pretty stretchy if you're worried about them running small. they should be one size fits all, but it may run just a little bit large. The Watch Hats are One Size Fits All. Is it American made ??? BEST ANSWER: This style is made in the US and in Canada. Why does it list hat as imported if it is Made in US and Canada? That hats made in Canada would still be considered imported. We apologize for any confusion. It says its Imported in the product features section above. My safety yellow one indicates made in Canada, I believe. I had one of these about 10 years ago that got stolen but was wondering if they still have fleece lining? BEST ANSWER: It does not feature a fleece lining, but we have other hats that do. You may wish to check out the Wetzel Hat (100773). 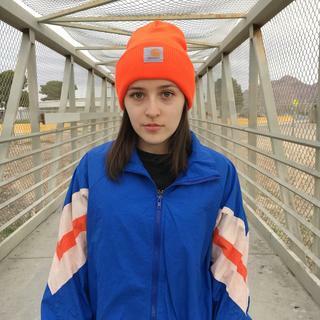 Are these beanies the same one on there WIP website thats listed for $28? or slightly different? BEST ANSWER: Yes, the beanies on the WIP site are made to the same specifications as the A18. So it's the same but they are just more expensive? What does "watch"cap mean and what does OFA mean? BEST ANSWER: Watch cap is just the name of the item and OFA is the size which is One Size Fits Most. These were the caps worn my merchant mariners who were on the deck of the ship during cold and stormy weather. The nick name originally came from the United Kingdom. Watch cap comes from the Navy. That's the name of this style hat that is issued to sailors. I believe "watch" is just the name of the item and OFA means one size fits all.